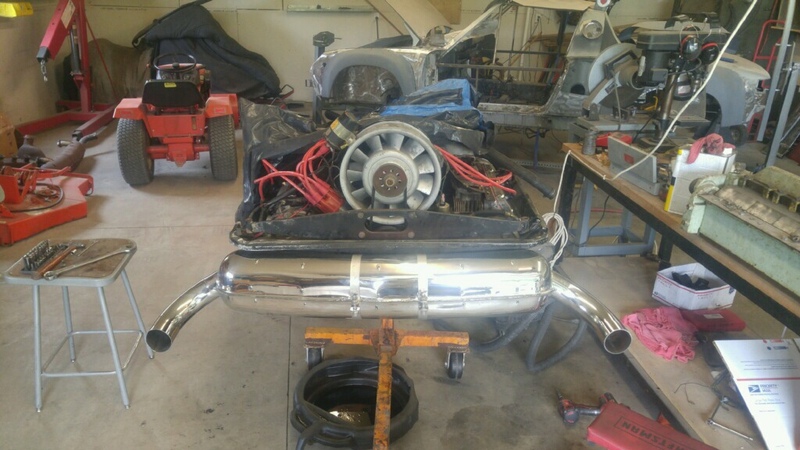 The 911 engine is coming together. In a few weeks we will be firing it up to see if all will be ok.
Dude, that is awesome! I don’t think the exhaust on the original was chrome-plated! Bob wants to know where this is at. We both think it’s awesome too!